In big theatres and street corners alike, the Havana Jazz Festival hosts jam sessions and prominent concerts in an event organized by none other than Grammy-award winner Chucho Valdés. Held each December in venues across Havana, top international bands share the stage with Cuba's best jazz talents. Expect traditional jazz, as well as the seductive Afro-Cuban jazz more known to the island. Join insightCuba on its very own Havana Jazz Festival tour. What would Cuba be without its world-famous cigars? In celebration of its most iconic product, Havana lights up each year for five days of habanos debauchery. Cigar aficionados from all around the globe descend to Havana for a series of plantation tours, trade fairs, gala dinners and master classes. And the best part - they can sample all the cigars they want and learn more about tobacco processing. Luckily, now Americans can also bring some home. 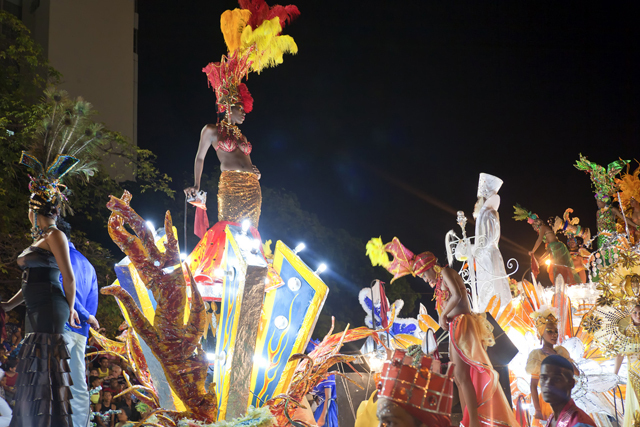 If you could only choose one Cuban festival, the Santiago de Cuba Carnival is certainly one not to be missed. The biggest festival on the island, and one of the oldest in Latin America, this Afro-Cuban fiesta pays homage to el son, the traditional music of Cuba and main genre of the famed Buena Vista Social Club. Bring your party hat; this one’s not for the faint of heart. Conga parades, over the top mamarachos and a flurry of color will sweep you off your feet all week long. Thanks to the legacy of Alicia Alonso, a Cuban prima ballerina still active at 96, there is no wonder why Cuba excels at the classical dance. Held every two years in the resplendent the Gran Teatro, the Ballet Festival of Havana is one of the few festivals in the world dedicated exclusively to ballet, around since 1960. Organized by Cuba’s National Ballet, the event draws ballet dancers, choreographers and companies from all over the globe. Imagine running down el Malecon, wind in your face and the weathered beauty of Havana’s facades in sight. Few marathon trails can compete with that. Held on the third Sunday of November for almost 30 years, encircling 42 kilometers, Marabana now admits American runners. Join a historic race competing on Havana’s dreamy streets. An art lover’s paradise, there is no other city like Havana to host a biennial festival showcasing contemporary art, statues and sculpture. One of Cuba’s most prestigious festivals, the month-long event allows artists from the world over to participate, yet the main emphasis is on underrepresented artists from Latin America and Africa. Going solid since 1984, the Biennial chooses a theme each year, with museums, schools and galleries all over the city hosting events. When most people wind down for the end of the year holidays, Cubans rest and recharge as they do best: through music and dance. Known as one of the oldest traditions in the Caribbean, the carnival-like party is held every year since 1920 in the week leading up to Christmas. The biggest extravaganza takes place on December 24th, but expect late-night parades with elaborate floats, costumed partygoers and fireworks all throughout.